1 Galileo Galilei (1564 – 1642). 2 Jupiter as Seen by Galileo. 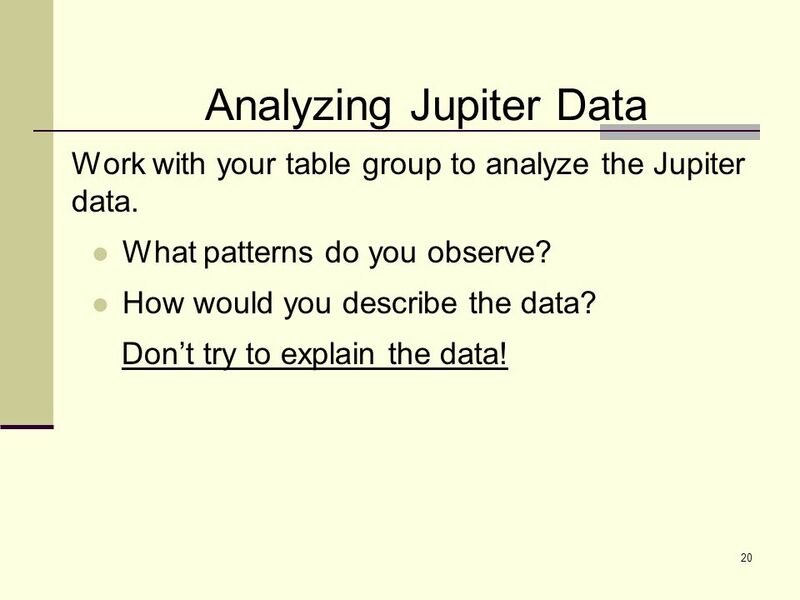 20 20 Analyzing Jupiter Data Work with your table group to analyze the Jupiter data. What patterns do you observe? 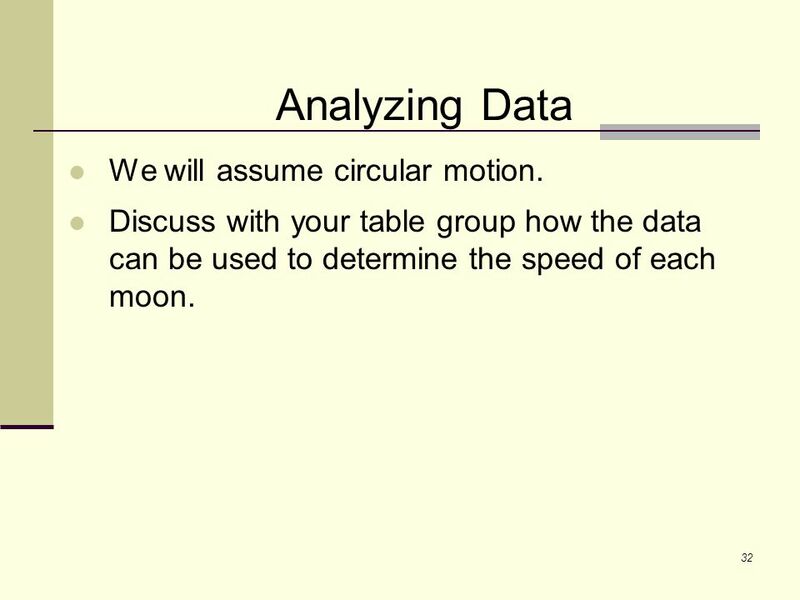 How would you describe the data? 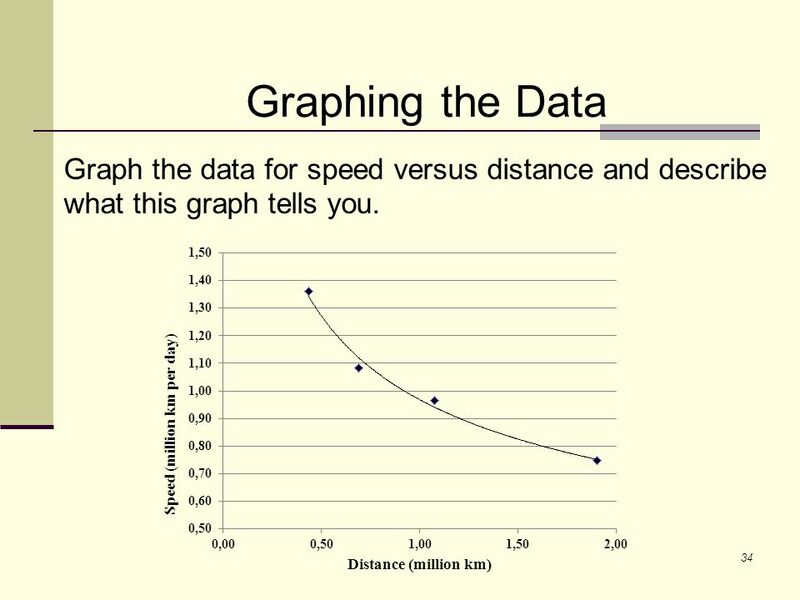 Don’t try to explain the data! 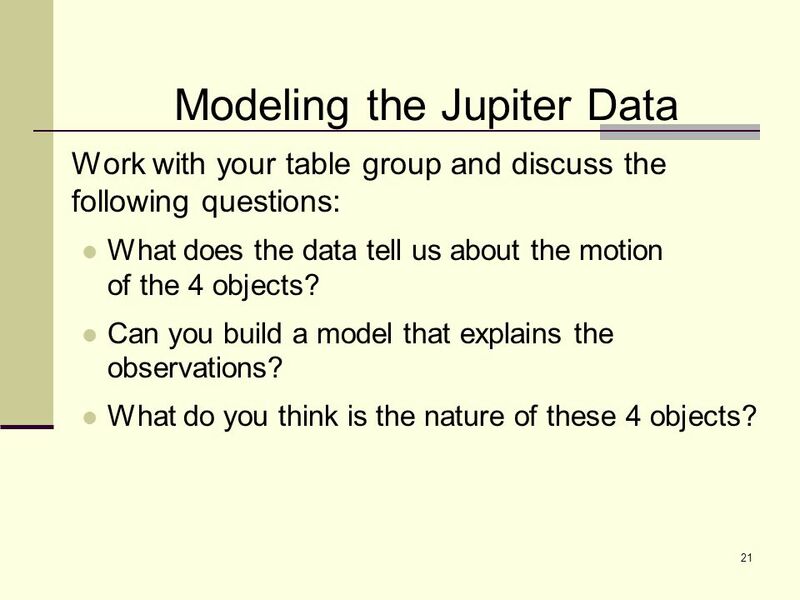 21 21 Modeling the Jupiter Data Work with your table group and discuss the following questions: What does the data tell us about the motion of the 4 objects? 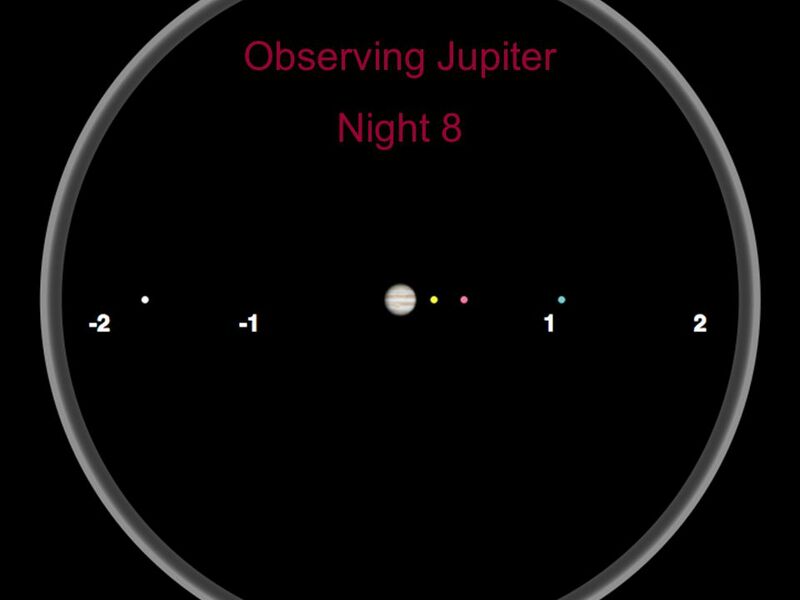 Can you build a model that explains the observations? What do you think is the nature of these 4 objects? 23 23 Reflecting on the Nature of Science Why did Galileo look at Jupiter? Why did Galileo repeat his observation? 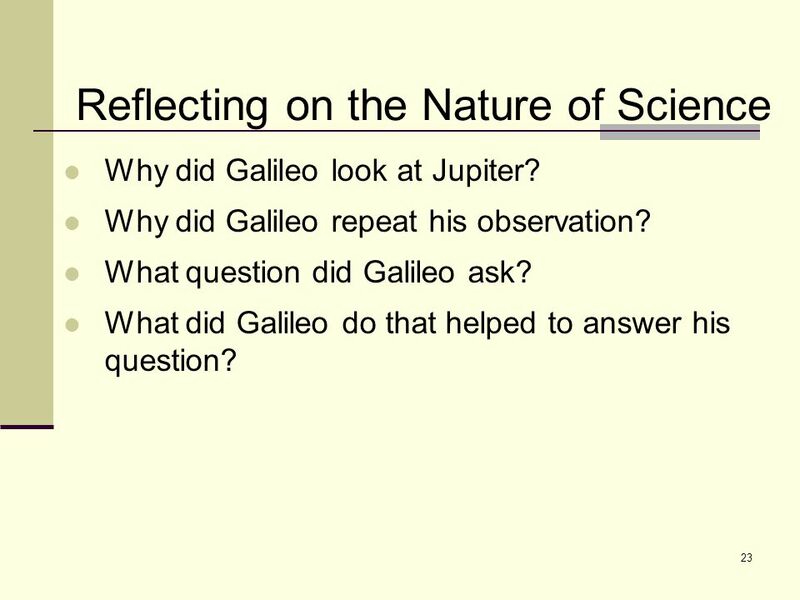 What question did Galileo ask? 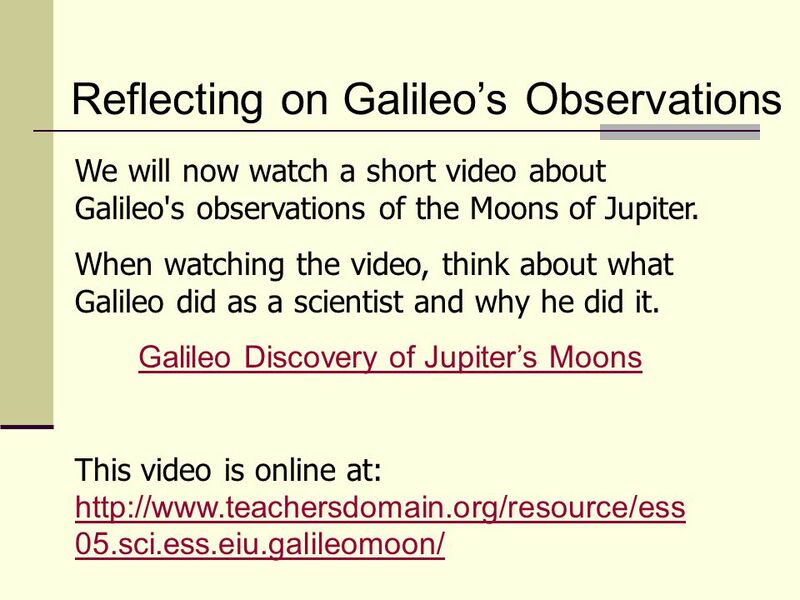 What did Galileo do that helped to answer his question? 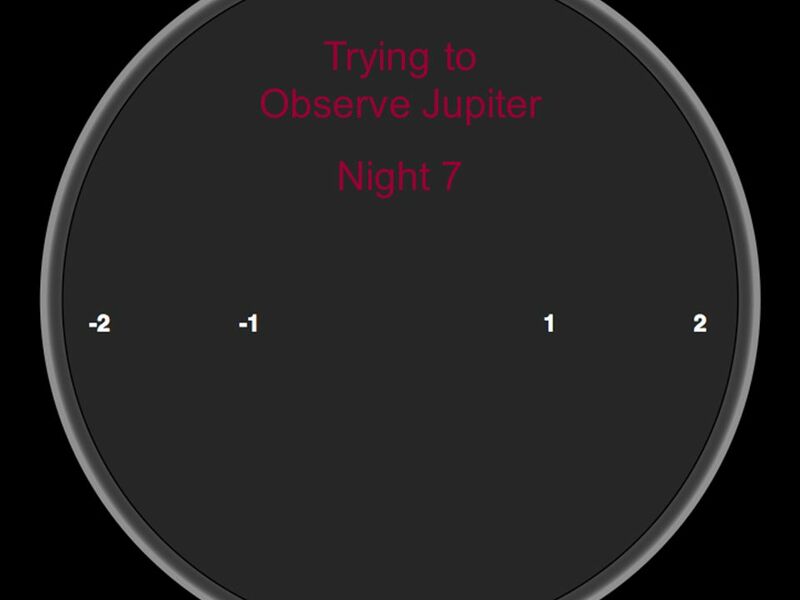 24 24 Understandings about the Nature of Science Scientific knowledge is based on empirical evidence. New technologies advance scientific knowledge. 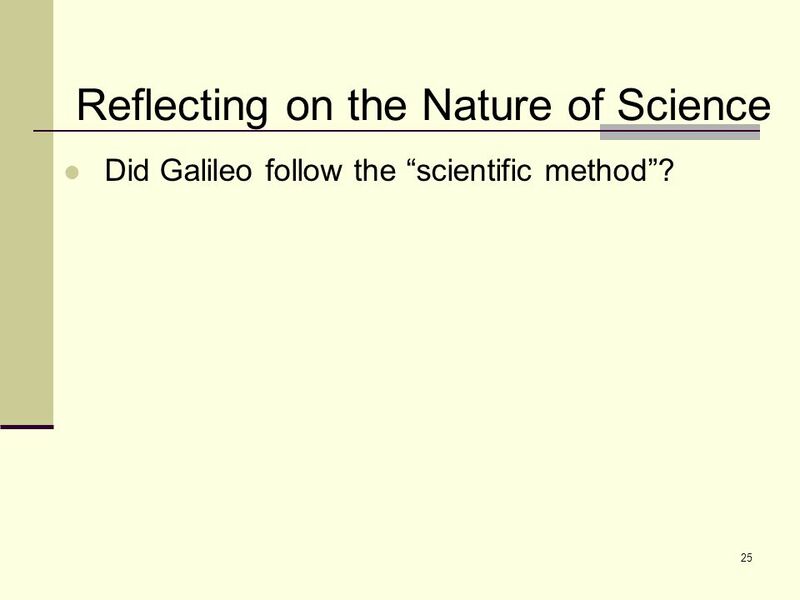 25 25 Reflecting on the Nature of Science Did Galileo follow the “scientific method”? 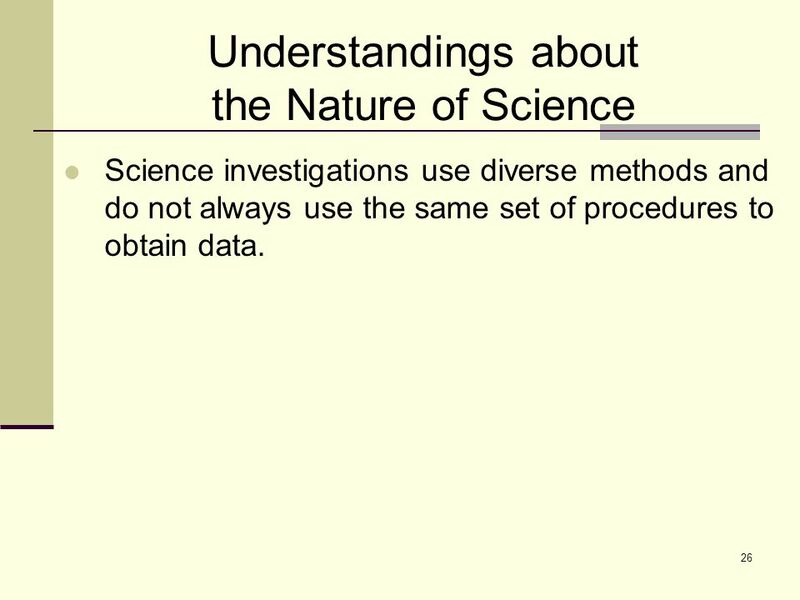 26 26 Understandings about the Nature of Science Science investigations use diverse methods and do not always use the same set of procedures to obtain data. 27 27 Reflecting on the Nature of Science Why do you think scientific knowledge changes? 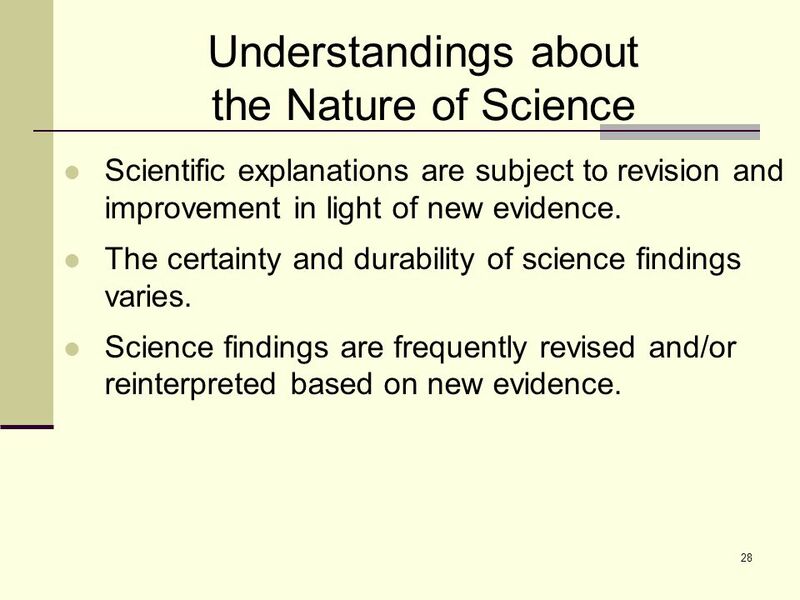 28 28 Understandings about the Nature of Science Scientific explanations are subject to revision and improvement in light of new evidence. The certainty and durability of science findings varies. 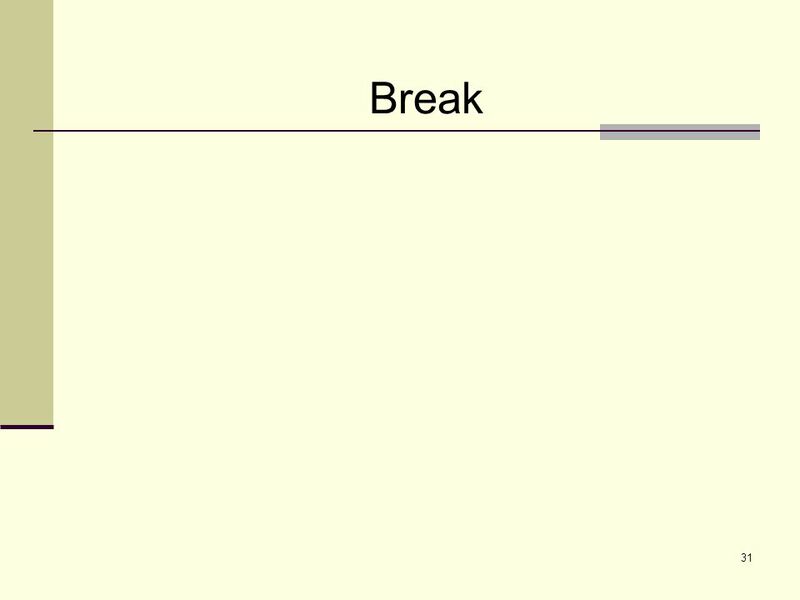 Science findings are frequently revised and/or reinterpreted based on new evidence. 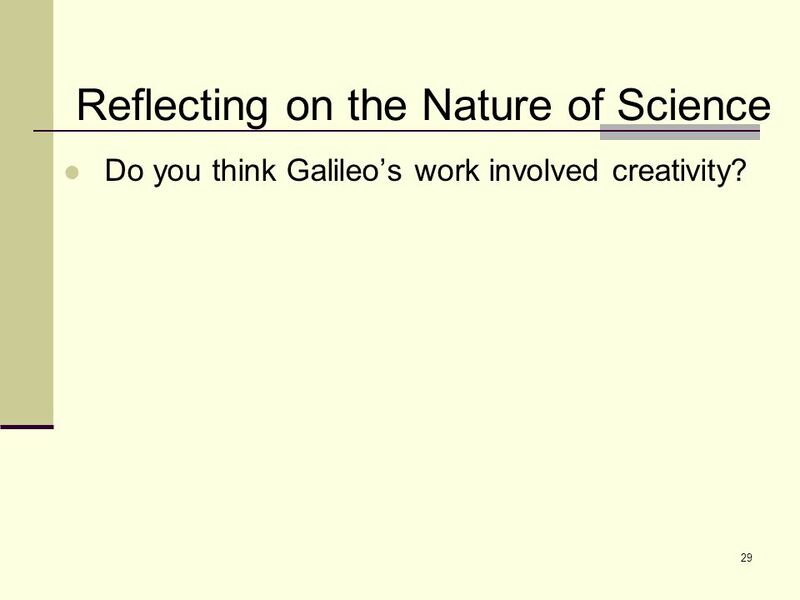 29 29 Reflecting on the Nature of Science Do you think Galileo’s work involved creativity? 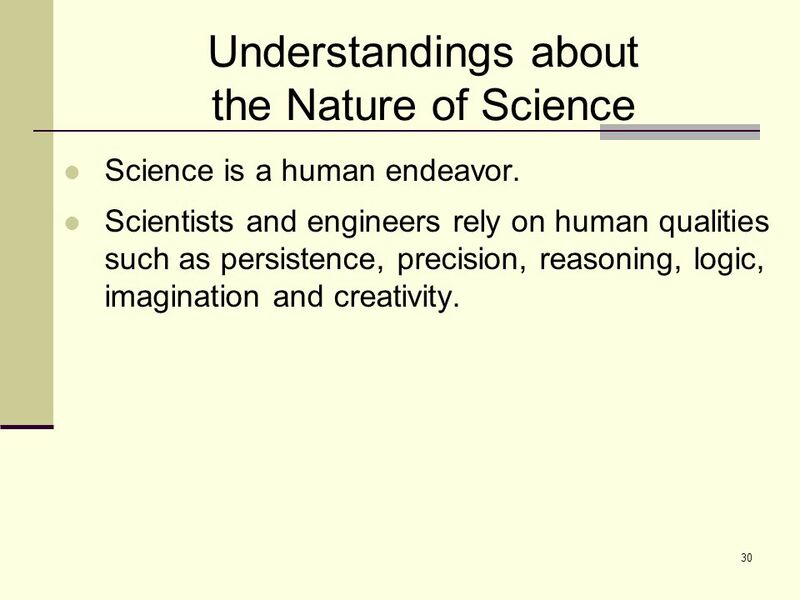 30 30 Understandings about the Nature of Science Science is a human endeavor. Scientists and engineers rely on human qualities such as persistence, precision, reasoning, logic, imagination and creativity. 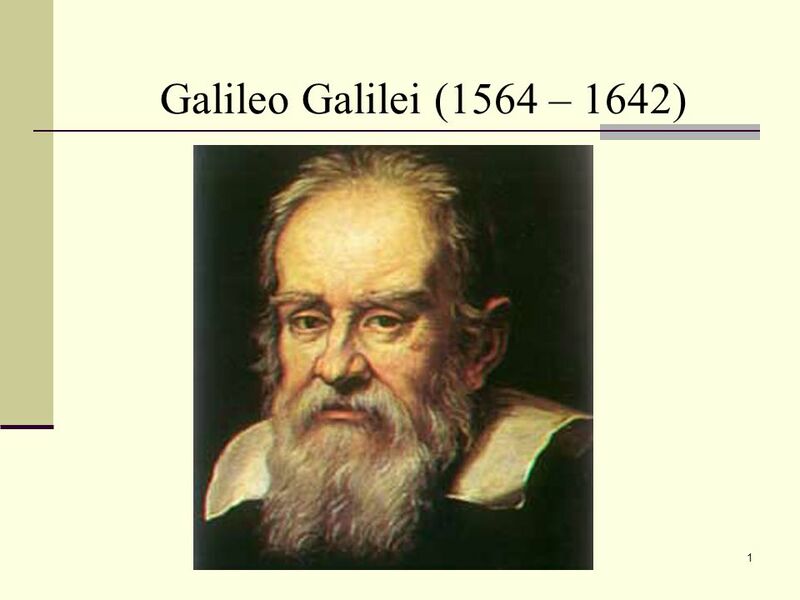 Download ppt "1 Galileo Galilei (1564 – 1642). 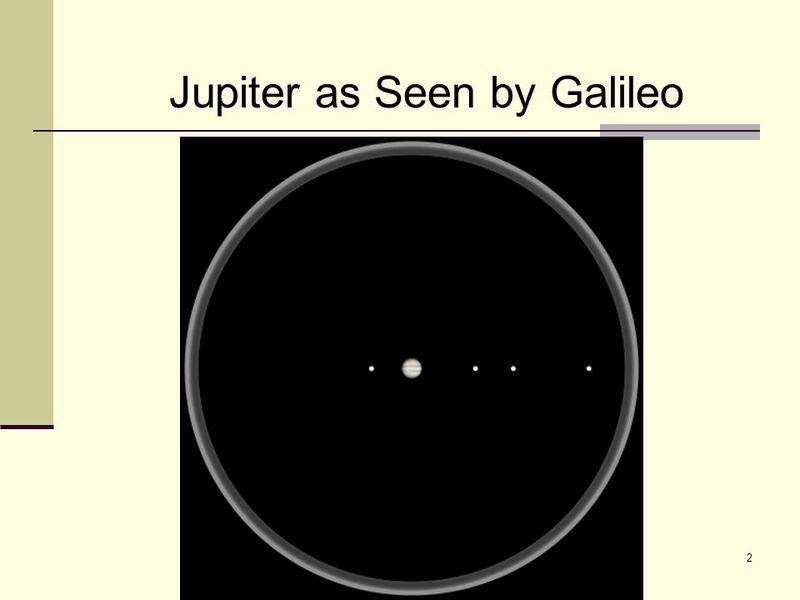 2 Jupiter as Seen by Galileo." What is Science? 6th Grade Earth Science. MODELING THE CYCLE PART THREE OUR SOLAR SYSTEM, TESLA SCIENCE NOTEBOOKS. Chapter 2: The Science of Biology. 1 Welcome to the University Of North Dakota!. Welcome! 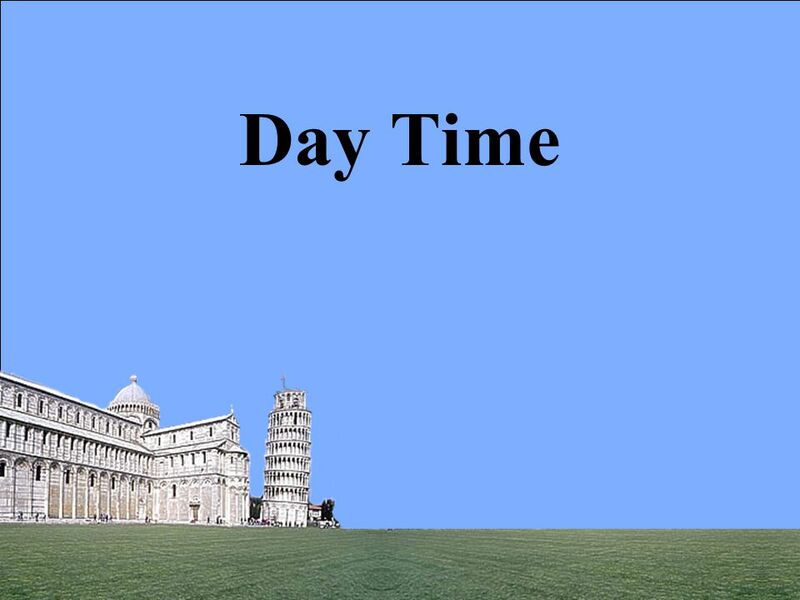 Schedule Reimbursement Space Resources and Activities Nature of Science, NGSS, Engineering Design. 1.1 Objectives Explain how science and technology are related. List the major branches or natural science and describe how they overlap. Describe the. @earthscience92. What is Science? 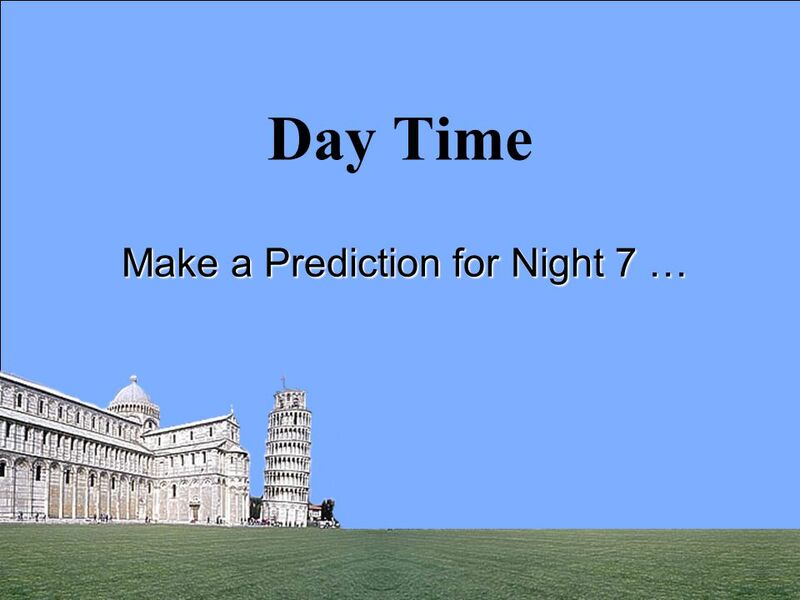 Science – The systematic study of natural events and condition. Anything in living or nonliving world Scientific knowledge. Big Idea 1: The Practice of Science Description A: Scientific inquiry is a multifaceted activity; the processes of science include the formulation of scientifically. 1 Science as a Process Chapter 1 Section 2. 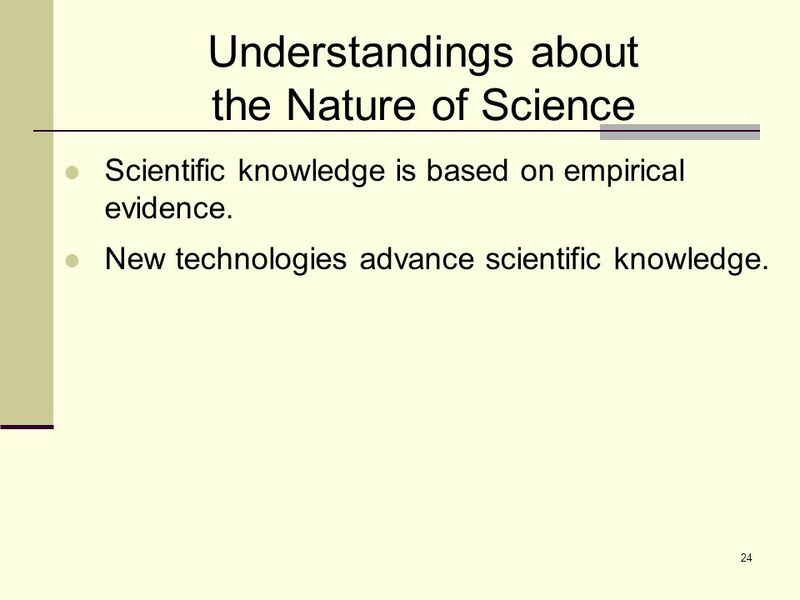 2 Objectives  Explain how science is different from other forms of human endeavor. 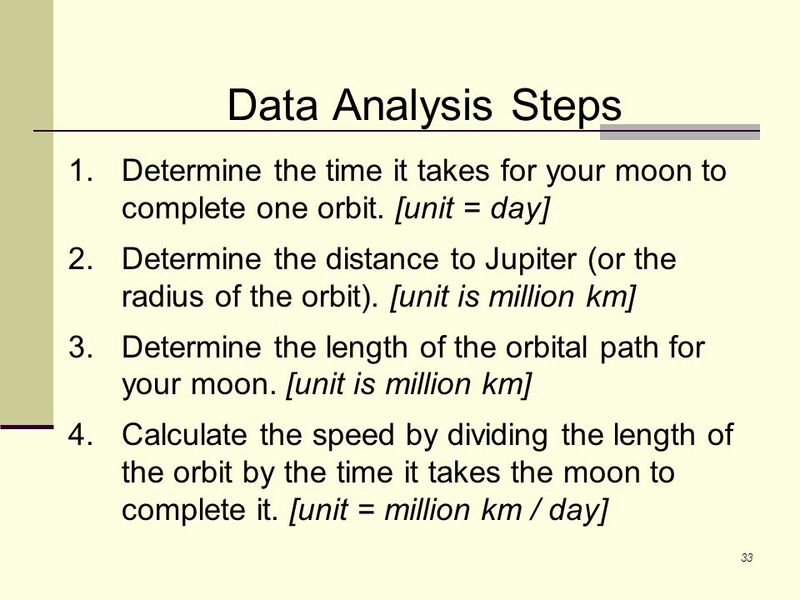  Identify the steps that.